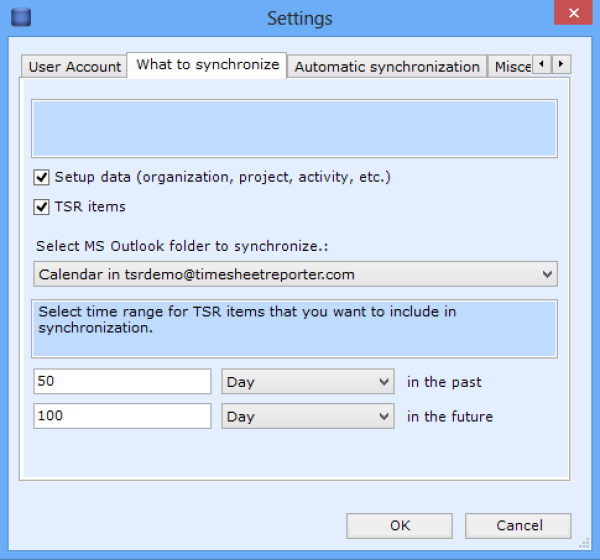 The more data you synchronize with TSR, the more time the synchronization will take. That being said, the synchronization should only take some seconds. Some of the most important items here include the interval between automatic synchronizations as well as the timeframe selected. 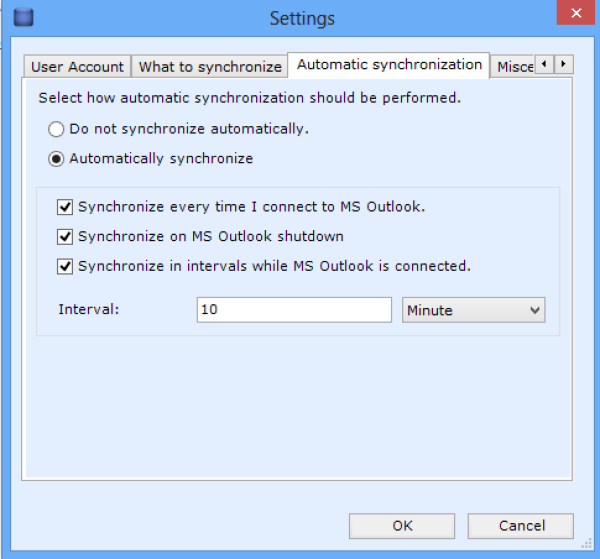 You can make these changes by going to Outlook Add-Ins > TSR > Settings. Make sure that you always run the latest TSR version. The TSR Outlook User Agent uses your internet connection when synchronizing with the server (hosted version). You should therefore check that your internet connection is running properly and is stable, fast and secure. You should also check your local network to see if this runs in an optimal manner. If you are using a proxy or VPN connection make sure that this is configured in the most optimal way. Sometimes proxy or VPN connections can mean latency and interrupted traffic, which may have an impact on how fast TSR can communicate when synchronizing as well as when you access TSR WebAdmin. This is not a TSR issue, but the way your proxy or VPN connection is setup. You should therefore contact your systems administrator to have your proxy or VPN settings optimized. You can also try to connect to TSR (both WebAdmin and the Outlook User Agent) from a regular internet connection and compare the response times.